The Lumina Desktop is part of the TrueOS project, a FreeBSD variant. I packaged version 1.4.0.p1 for Slackware and it is part of the Plasma5 variant of my Slackware Live Edition. I noticed a while ago that Lumina would no longer start but it was low on my priority list to try and fix it. Today I found the time to look into this, but a recompilation against the latest Qt5 and other libraries, altough error-free, would not make the Lumina Desktop start successfully: it will start to load, but then you’ll hear a beep and you’re dumped at the command prompt or at the graphical login screen without evidence of what happened. A bit of research showed that apparently, Lumina stopped working on Linux with versions of Qt greater than 5.9 (gentoo discussion and lumina bug report). According to the developer Lumina works fine on FreeBSD, even with Qt 5.12, and the developer will not troubleshoot the Linux code according to what he posted in that bug report. Therefore I am sorry to say (I really liked this light-weight Qt5 based Desktop Environment) that I will remove the lumina package from my slackware-current repository. If this issue ever gets fixed, I’ll be happy to re-add the package. Today is Valentine’s Day. A moment to give some extra attention to people that are dear to you. In my case, that’s everyone who loves, uses, supports, advocates or develops Slackware Linux. 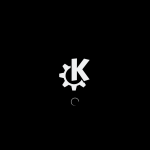 For all of you, I uploaded “KDE-5_19.02” to the ‘ktown‘ repository. There’s some updates in there that might interest you, see below. If you do not (want to) run or install Slackware-current, I will make sure that a new ISO of the Slackware Live Plasma5 Edition will be available around the weekend. That way, you can safely try it out without having to touch your hard drive. As always, these packages are meant to be installed on a Slackware-current which has had its KDE4 removed first. These packages will not work on Slackware 14.2. My February 2019 release of KDE Plasma5 for Slackware contains the KDE Frameworks 5.55.0, Plasma 5.15.0 and Applications 18.12.2. All this on top of Qt 5.12.1. Yes! This month, Qt 5.12.1 was introduced to the “deps” section of my ktown repository. This new Long Term Support (LTS) release of Qt5 is accompanied by the latest ‘libxkbcommon’, ‘sip’ and ‘PyQt5’ versions. 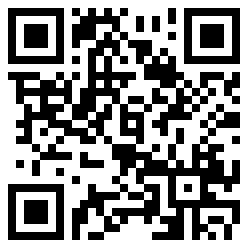 The ‘qt5’ package update also mandated a recompile of the ‘qt5-webkit’ package. Unfortunately I am not able to compile the latest (and final) PyQt 4.x release, and the same goes for the Qt4 support in QScintilla. So I stuck with Slackware’s ‘PyQt’ and dropped Qt4 support from ‘QScintilla’. Other news? I added a base for speech support in KDE Plasma (and Slackware) with the “deps” packages ‘pcaudiolib’, ‘espeak-ng’, ‘pyxdg’, ‘dotconf’, ‘flite’, ‘speech-dispatcher’ and ‘qt5-speech’ (that’s the compile order). The KDE packages that will pick up speech support are ‘kanagram’, ‘kmouth’, ‘knights’ (applications) ‘kpimtextedit’, ‘kdepim-runtime’ (kdepim) ‘ktp-text-ui’ (telepathy) and ‘knotifications’, ‘ktextwidgets’ (frameworks). Let me know if speech support is adding value to your Slackware desktop (running Plasma5 but also as an enhancement to Slackware itself). If it does not add value then Patrick can safely skip these new packages in case he decides to adopt Plasma5. And finally, I added ‘libsass’ and ‘sassc’ packages as new dependencies for ‘breeze-gtk’. Applications 18.12.2 is a stability and bugfix update for the 18.12 release cycle. See https://www.kde.org/announcements/announce-applications-18.12.2.php and if you want more detail about the 18.12 cycle you should also read https://www.kde.org/announcements/announce-applications-18.12.0.php . In applications-extra I have upgraded ‘kmymoney’, and recompiled ‘krita’ with a patch to improve its compatibility with the new Qt 5.12. Download the KDE-5_19.02 from the usual location at https://slackware.nl/alien-kde/current/latest/ . Check out the README file in the root of the repository for detailed installation or upgrade instructions. I have a Google ChromeCast, it is an extremely convenient gadget to stream all sorts of audio and video to your television, regardless of its make or brand. Today I learnt something new, so let me tell you about that. But an introduction first. I have a media collection at home, stored on a big disk in my server, and I have a Universal Media Server (UMS) running on my Slackware LAN server to get access to my audio and video files. Usually from my Android Smartphone (I have always only bought HTC phones and currently it’s a HTC 10) I connect to my movies using BubbleUPnP, a cool application for which I actually bought a license. BubbleUPnP is a UPnP controller, meaning it does not necessarily play video by itself, but it is able to connect a media source (the UMS server) and a media renderer (like a television) and control the playback as a ‘man in the middle’. For this to work, your television must understand UPnP and be able to announce itself as such on your network, and act as a media renderer. Many of the ‘smart’ televisions sold today have this capability, but many older televisions need a bit of help. 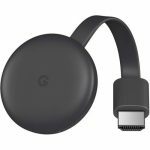 Enter the ChromeCast, a smart Linux-powered device with a wireless network card which connects to your television’s HDMI port. Once connected to your Wi-Fi network, it acts as a UPnP media renderer which means you can stream audio and video to it. However dumb, your television receives the HDMI input from the ChromeCast and will ‘just’ play back what it receives. The BubbleUPnP app on my phone manages this with great success, and other apps will suddenly also have an extra button on-screen. Such as your phone’s Netflix and Youtube apps, which allows you to watch Netflix or Youtube on a big tv-screen instead of your puny little phone screen. Now on a laptop or desktop computer, it is a bit of a different story. Your application must be able to act as a UPnP client to allow it to find a ChromeCast and stream media to it. On Linux, I could not find many applications that will cast media to a UPnP renderer. VLC is one good example. Chromium is another good example. Or so I thought, but I was unable to get Chromium to find my ChromeCast… I tried from time to time, and when it would not work, I would simply take my phone and stream from there. But today, I thought ‘I need to fix this’. So, some searching around on the Internet and I found the fix. The default setting called “Default” obviously is not sufficient, so I set the value to “Enabled” and voila! My Chromium browser finds the ChromeCast and I can watch fullscreen movies from a browser tab. I hope someone sometime searches for and finds this piece of information and benefits from it.